Chris Field is the director of the Carnegie Institution’s Department of Global Ecology, Professor of Biology, Professor of Environmental Earth System Science, and FSI Senior Fellow, by courtesy, Stanford University. A team of researchers from Stanford University, the Carnegie Institution for Science, and Arizona State University has found that converting large swaths of land to bioenergy crops could have a wide range of effects on regional climate. Matei Georgescu, a climate modeler working in ASU’s Center for Environmental Fluid Dynamics. In an effort to help wean itself off fossil fuels, the U.S. has mandated significant increases in renewable fuels, with more than one-third of the domestic corn harvest to be used for conversion to ethanol by 2018. But concerns about effects of corn ethanol on food prices and deforestation had led to research suggesting that ethanol be derived from perennial crops, like the giant grasses Miscanthus and switchgrass. 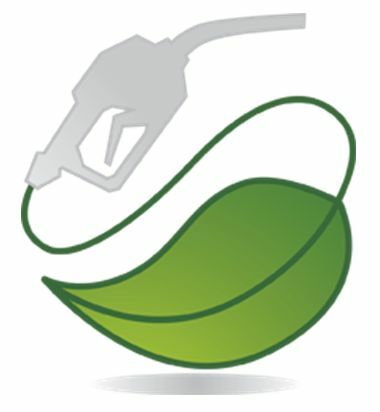 Nearly all of this research, though, has focused on the effects of ethanol on carbon dioxide emissions, which drive global warming. Matei Georgescu, a climate modeler working in ASU’s Center for Environmental Fluid Dynamics and his colleagues report their findings in the current issue (Feb. 28, 2011) of the Proceedings of the National Academy of Sciences (see Direct climate effects of perennial bioenergy crops in the United States). Co-authors are David Lobell of Stanford University’s Program on Food Security and the Environment and Christopher Field of the Carnegie Institution for Science, also located in Stanford, California. In their study, the researchers simulated an entire growing season with a state-of-the-art regional climate model. They ran two sets of experiments – one with an annual crop representation over the central U.S. and one with an extended growing season to represent perennial grasses. In the model, the perennial plants pumped more water from the soil to the atmosphere, leading to large local cooling. “We’ve shown that planting perennial bioenergy crops can lower surface temperatures by about a degree Celsius locally, averaged over the entire growing season. That’s a pretty big effect, enough to dominate any effects of carbon savings on the regional climate.” said Lobell. The primary physical process at work is based on greater evapotranspiration (combination of evaporated water from the soil surface and plant canopy and transpired water from within the soil) for perennial crops compared to annual crops.